Experiential learning is a powerful and proven approach to teaching and learning that is based on one incontrovertible reality: people learn best through experience. 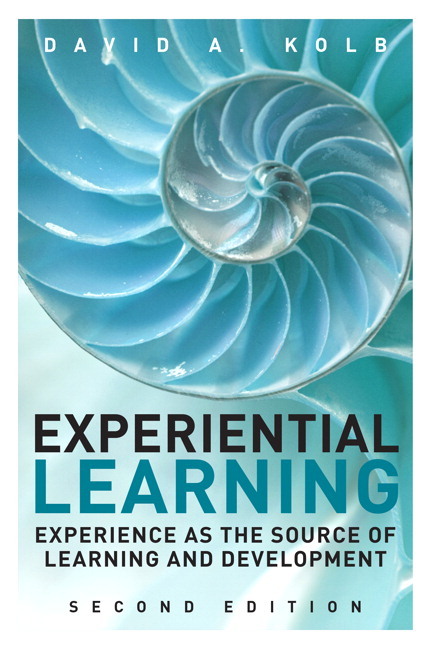 Now, in this extensively updated book, David A. Kolb offers a systematic and up-to-date statement of the theory of experiential learning and its modern applications to education, work, and adult development. builds on the intellectual origins of experiential learning as defined by figures such as John Dewey, Kurt Lewin, Jean Piaget, and L.S. Vygotsky, while also reflecting three full decades of research and practice since the classic first edition. Kolb models the underlying structures of the learning process based on the latest insights in psychology, philosophy, and physiology. Building on his comprehensive structural model, he offers an exceptionally useful typology of individual learning styles and corresponding structures of knowledge in different academic disciplines and careers. Kolb also applies experiential learning to higher education and lifelong learning, especially with regard to adult education. This edition reviews recent applications and uses of experiential learning, updates Kolb's framework to address the current organizational and educational landscape, and features current examples of experiential learning both in the field and in the classroom. It will be an indispensable resource for everyone who wants to promote more effective learning: in higher education, training, organizational development, lifelong learning environments, and online. David A. Kolb is the Chairman of Experience Based Learning Systems (EBLS), an organization that he founded in 1980 to advance research and practice on experiential learning. EBLS conducts basic research on Experiential Learning Theory and has developed many experiential exercises and self-assessment instruments including the latest Kolb Learning Style Inventory 4.0. The EBLS program of research on experiential learning is ongoing in collaboration with an international network of researchers, practitioners and learning partners. He received his BA in psychology, philosophy, and religion at Knox College and his Ph.D. in social psychology from Harvard University. He was a professor of organizational behavior and management at the MIT Sloan School of Management and at the Weatherhead School of Management, Case Western Reserve University, where he is currently Emeritus Professor of Organizational Behavior. 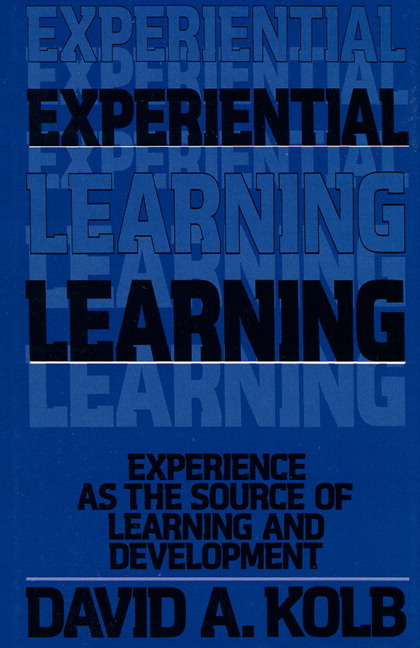 He is best known for his research on experiential learning and learning styles described in this book, Experiential Learning: Experience as the Source of Learning and Development. Other books include Conversational Learning: An Experiential Approach to Knowledge Creation, Innovation in Professional Education: Steps on a Journey from Teaching to Learning, and Organizational Behavior: An Experiential Approach. In addition, he has authored many journal articles and book chapters on experiential learning. David A. Kolb has received several research recognition awards and four honorary degrees recognizing his contributions to experiential learning in higher education. For more information about his work, go to www.learningfromexperience.com.